The island of Jamaica is renowned the world over for it’s music, weather, natural beauty and warm people. But when it comes to sports, our tiny island continues to prove that it is a force to be reckoned with. In fact, the island is still commonly referred to as the sprint capital of the world by many, thanks to achievements of some of our fine athletes. As it pertains to football, Jamaica has not been able to top the world like our sprinters have but have turned heads quite a few times over the years by pulling off victories over the likes of Chile, Uruguay, Mexico, The United States, among others. The Reggae Boyz placed second in the two most recent CONCACAF Gold CUP tournaments and some of this success can definitely be attributed to the fact that a number of Jamaicans are currently honing their skills in America’s Major League Soccer (MLS). Andre Blake: Currently plays professionally for the Philadelphia Union in Major League Soccer, as a goalkeeper. 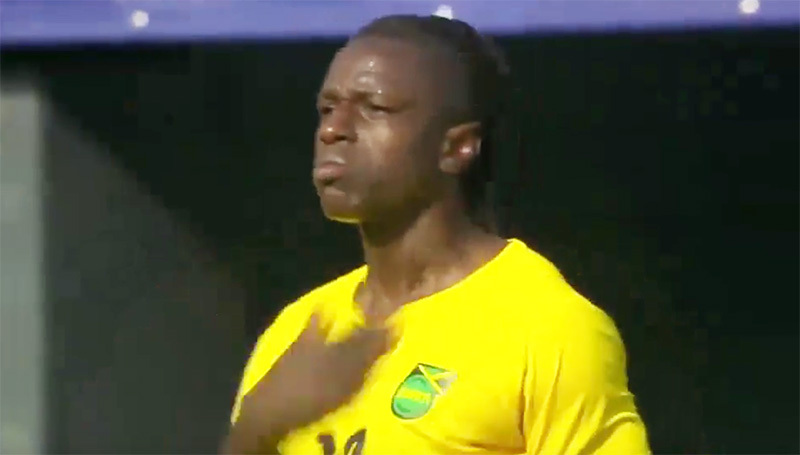 Blake debuted for Jamaica on 2 March 2014 in a 2-0 win over Barbados. He earned his first medal for Jamaica later that year, winning the 2014 Caribbean Cup and earning the Golden Gloves award in the process. He was named MLS Goalkeeper of the Year in 2016 and won the Golden Glove Award at the 2017 CONCACAF Gold Cup. He was named in the MLS Best XI for 2016. Romario Williams: Currently plays for Atlanta United FC. He has represented Jamaica at the U-17 level and played in three games at the 2011 U17 FIFA World Cup. The Portmore born player will be looking to get more action this year with the 2018 champions, Atlanta United. They are once again a favorite to win the MLS Cup and will be looking to build on the amazing expansion team success they’ve had thus far. Cory Burke: Currently plays for Philadelphia Union in Major League Soccer. In 2016, Burke debuted for Jamaica in a game against Haiti and scored his first international goal against Guyana. Oneil Fisher: Currently plays as a defender or midfielder for D.C. United in Major League Soccer. He made his international debut fro Jamaica in a 3-1 win over Trinidad and Tobago in August 2010. Kemar Lawrence: Currently plays for New York Red Bulls and the Jamaica national football team as a full back. He has also represented Jamaica at the U-17 and U-20 levels. He was named in the MLS Best XI for 2018. Darren Mattocks: Currently plays for FC Cincinnati in Major League Soccer and the Jamaica national football team. He made his international debut for Jamaica in 2012 in a 2-0 win over El Salvador. He scored a memorable goal in the semi final of the CONCACAF Gold Cup to eliminate the United States on their home soil and help Jamaica reach its first ever Gold Cup final. He also scored in the 3-1 defeat to Mexico in the final. Alvas Powell: Currently plays for FC Cincinnati as a defender. He made his senior international debut with Jamaica in 2012. He represented Jamaica at the 2011 FIFA U-17 World Cup and also helped the Reggae Boyz win the 2014 Caribbean Football Unions (men’s) Title. Peter-Lee Vassell: Currently plays as a midfielder for Los Angeles FC in Major League Soccer and the Jamaica national football team. He kicked off his career at Faulkland FC in Montego Bay in the Western Super League,then later had a stint in the RSPL with Montego Bay United. He then moved to Harbour View ahead of the 2017-18 RSPL season. He joined Los Angeles FC in January 2019.